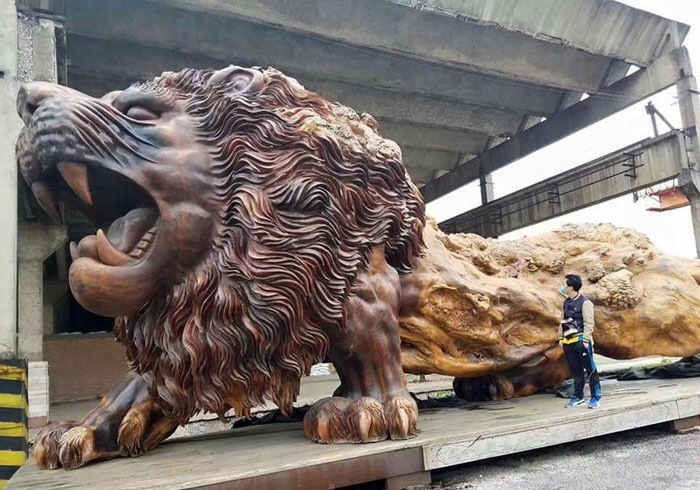 Looking at this huge lion carving sculpture one can not feel awe-inspired by the giant masterpiece. 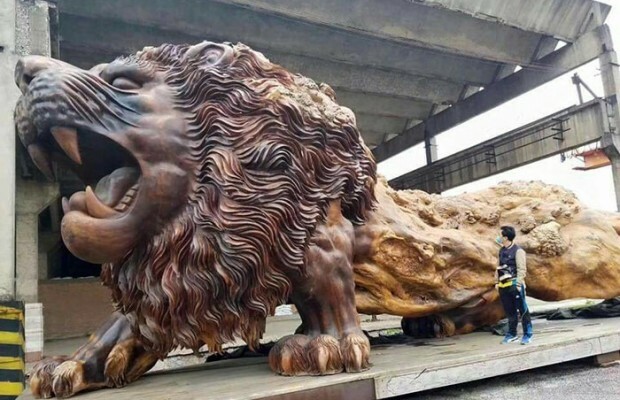 This statue is called the oriental lion and it is being displayed proudly in a central Chinese city square. 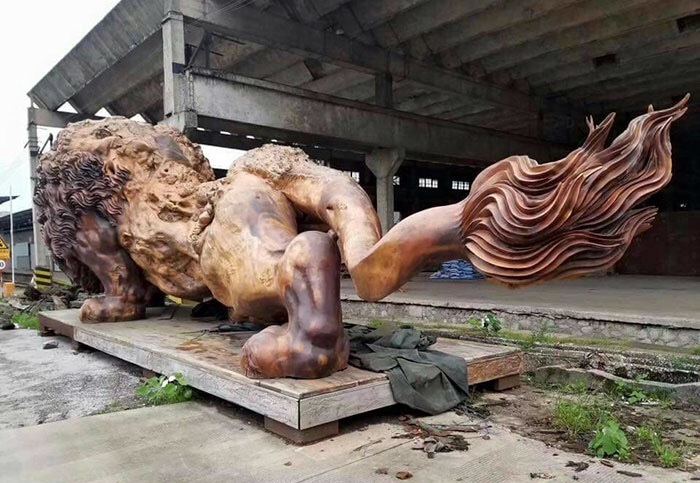 The details on how this lion carving was created are even more amazing. 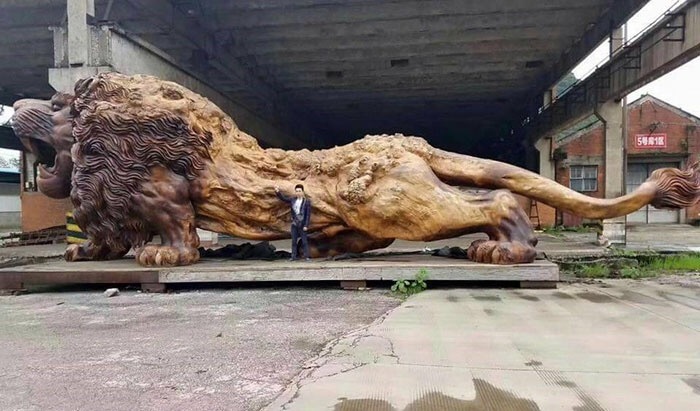 The giant oriental lion sculpture was carved from a single redwood tree trunk and it took over 3 years to complete. 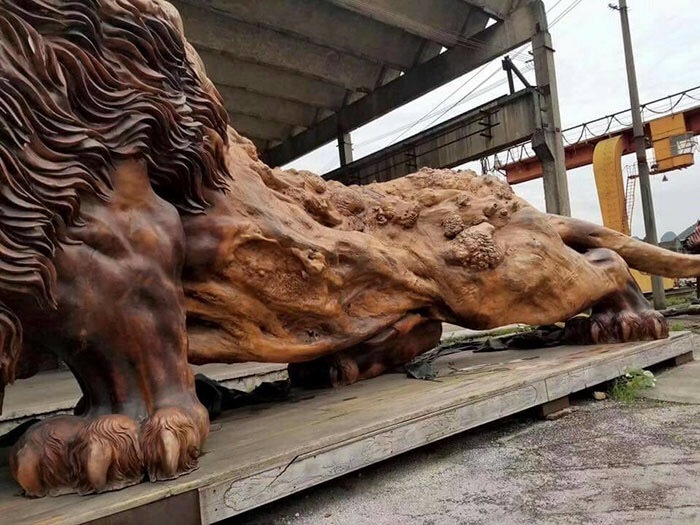 The project which was initiated by a popular Chinese architect named Dengding Rui Yao and the help of more than 20 people working on this lion until they reach the end result which was all worth it. They first started working on it in Myanmar, and the sculpture actually stayed there until the carving was complete. 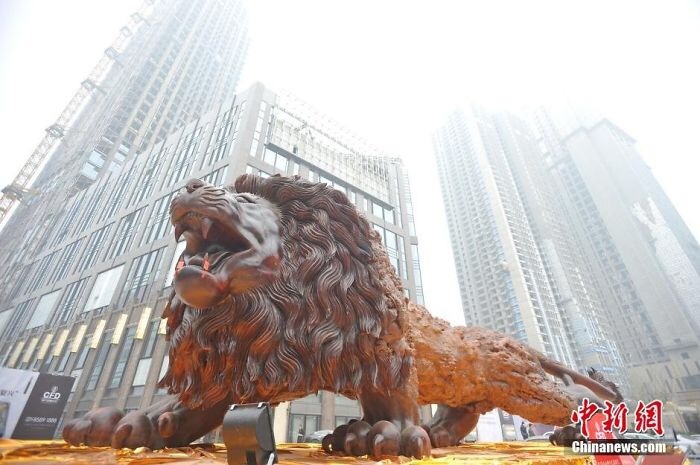 But in December 2015 when the work was finally finished they moves the giant lion 3000 miles away to Wuhan’s Fortune Plaza Times Square where it’s displayed today. 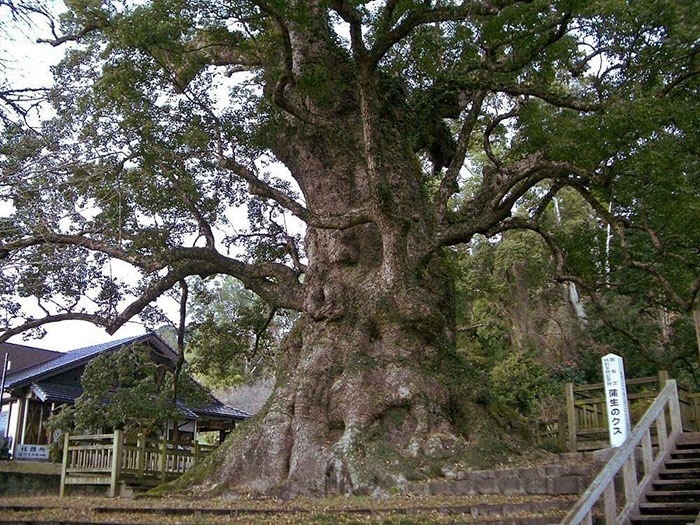 The wooden statue is 47.5 feet long, 16.5 feet high and 13 feet wide. 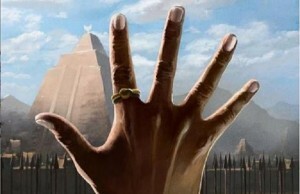 The oriental lion is a beast and is stunning to look at even from far away. 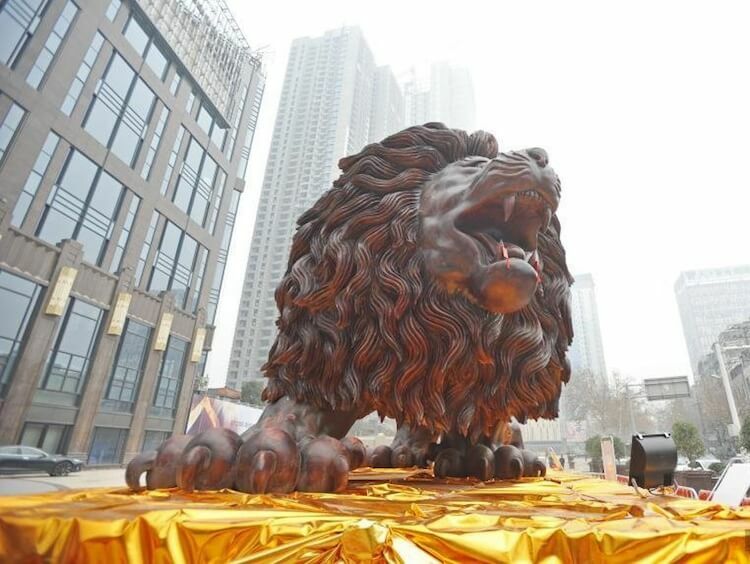 Lions have an important role in traditional Chinese culture. It happened when Buddhism started to spread from India to China and the lion symbol among others was adopted by the culture. The lion is symbolic as a protector so it’s very common to see statues of he beast at imperial palaces such as the forbidden city in Beijing. 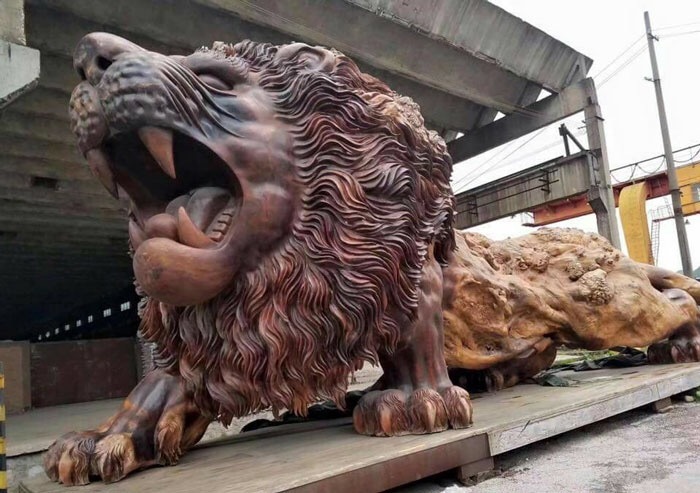 It’s not a rare sight today to even see these type of sculptures displayed at restaurants and hotels across China just to make sure the place is protected from all evil. 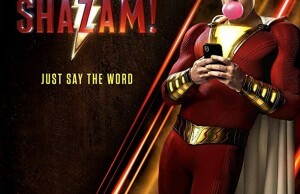 Just look at how big this thing is!